There is no mention of church at Gamston in Domesday Book. 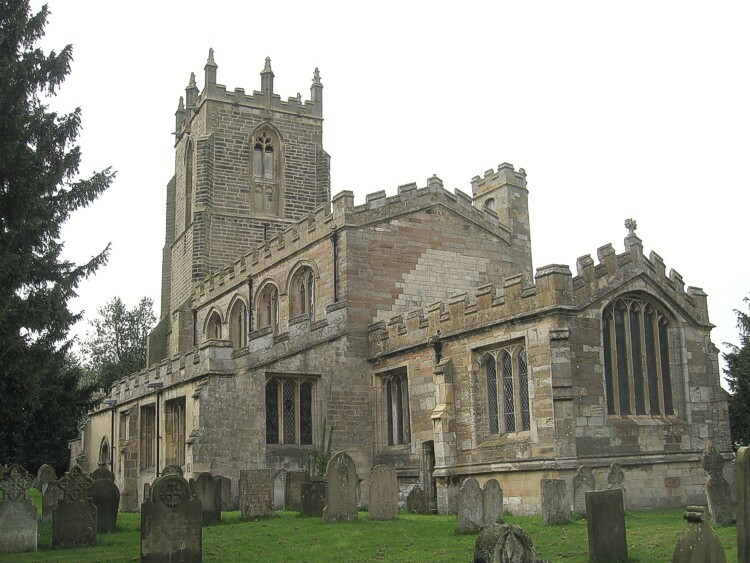 The present building is mainly Perpendicular, of stone, consisting of a chancel, nave, north porch and a fine embattled western tower (with 8 crocketed pinnacles) containing 6 bells. The chancel is very low, the nave short and high. The chancel arch and south arcade are Early English, the south aisle Perpendicular, as are the three octagonal piers of the south arcade. All windows are square-headed except for the clerestory. In 1517 the chancel was largely re-built. A sculpture of a priest with chalice is said to have been a monastic relic recovered from the River Idle. There is also a fine effigy of a 14th Century prior. From c1420 is an important alabaster monument believed to be Sir Bertram Manboucher wearing delicate chain mail. Sir George Gilbert Scott restored the church in 1855. Further restoration took place in 1938-39 when old bosses at the porch were replaced by sculptures of a canon and nun of the Gilbertine order. 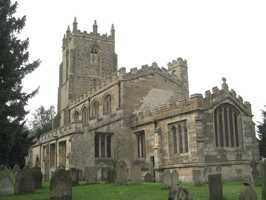 The church closed on 1 November 2015 and the parish merged with Eaton. In February 2018 to building became the responsibility of the Churches Conservation Trust and a project to restore the building was initiated. and to Geoff Buxton and Judith Asquith for photographs.